Colour, beauty and originality in every corner of your house with the Palet container by Holmegaard. The Palet container by Holmegaard is a truly valuable furnishing object, created by the designer Michael Bang, who became the symbol of the design in the 70s. This container is now back on the market thanks to Holmegaard, thanks to which collectors and fans of the genre can start to collect these pieces of furniture, which have been so rare and difficult to be found on the market for a long time. The peculiarity of the Palet container is first and foremost its cheerful and bright colours, which make it suitable for any space, ensuring the possibility to create a real composition to be exhibited with pride; moreover it is a versatile product, which can be used for different purposes: as a flower and plant pot; as spices holder; but also just as decorative element in whatever space of the home, from the bathroom to the living room, because its design and colour can be safely combined with every style and furnishing taste. 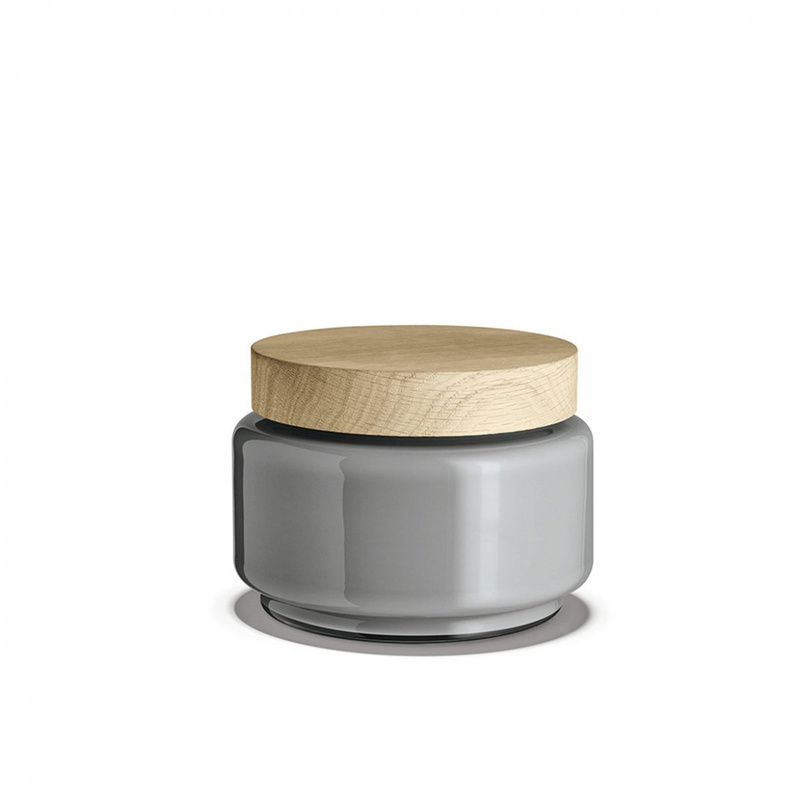 The covers of the Palet containers by Holmegaard are made of oak while the containers are in blown glass. 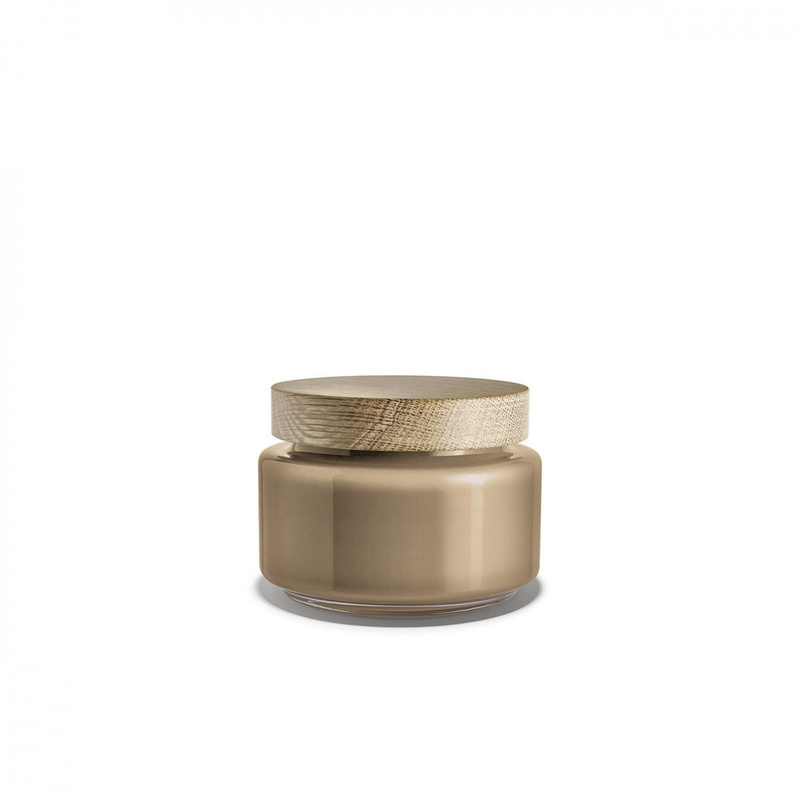 The diameter of this specific model is of 1.2 cm, but they are available in 5 different sizes, so you can place it together with other containers of different sizes of the same line. The Palet container by Holmegaard is also a perfect gift idea for those who love to decorate their homes with colour and style, and especially for those who love design in general and therefore can not help but appreciate such an object that made the history of furniture design and that now is a real collectible item.